On 6th October ŠKODA will presentthe first live advertisement in Poland, broadcasted by several media at the same time. Isobar Poland and Propeller Film (Dentsu Aegis Network Poland) are responsible for the innovative advertising project. The PHD media house took care of the purchase and media planning. The TV spot of the new ŠKODA FABIA will be simultaneously produced and broadcast live on TVN, social media channels, Internet portals, points of sale, cinema and on influencer channels. 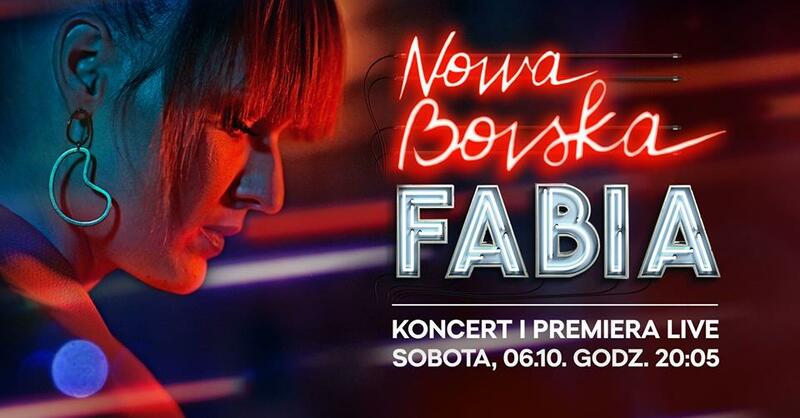 The emission of the advertisement on the Internet was crowned by Bovska's concert promoting the vocalist's new album, "Kęsy". The aim of the brand's advertising activities is to communicate the benefits of the new ŠKODA FABIA model, equipped with innovative technologies and advanced safety systems. The activities are the next stage of the "Now you can have everything" campaign, carried out by the ŠKODA brand with the participation of Dentsu Aegis Network Poland companies. The new ŠKODA FABIA surprises with the use of the most advanced solutions previously reserved for higher class cars. All versions of the new ŠKODA FABIA have been equipped with more extensive standard equipment and will be available, among others, with new headlights with LED daytime running lights, Hill Hold Control starting aid system and Easy Light Assist function responsible for automatic activation of dipped headlights. Probably the most difficult production in the history of Polish advertising is carried out by Tadek Śliwa, the leading Polish advertising director and creator of well known show “Ucho prezesa”. During the broadcast of the 60-second mastershot from the largest shooting hall in Poland with moving scenery, which was followed by ŠKODA cars, there was also a concert of the singer Bovská playing live with the band. The singer performed a cover of Roy Orbison's song "You Got It". More and more opportunities related to the development of new media, trends in consuming the realities, dictated by younger generations of users and very dynamic advances in new technologies open up completely new opportunities in communication. We are happy to use live formats on Facebook or Instagram, so why not combine these worlds with traditional media? The ŠKODA Fabia Live project is an innovation for our client, but also for us. The action consists in simultaneous use of so many technologies and communication channels, both in online and offline media, in real time, we are doing it for the first time. ŠKODA Fabia Live is an exceptional action in terms of technology and logistics. Imagine a big film production, a one-minute film made among several different moving sets, with trick photos, changes of outfits, complicated choreography and live singing. Let's add a few cars and the fact that the whole thing is realized on one long shot, during which the camera, in order to keep up with the action, also moves on special trolleys. Everything has to go simultaneously, and the first time, because the shot is transmitted live on the Internet, television and in the cinema. It is worth emphasizing that this project contains key elements distinguishing the advertising format from the live broadcast, e.g. a specific length, closed formula, music, product presentation. Robert Kubicki, Creative Group Head, Isobar Poland (Dentsu Aegis Network Poland). I won't exaggerate when I say that after receiving a brief concerning a live Skoda spot, all the people involved in the project on TVN Media's side were boiling with enthusiasm for the event. The whole action, which indicates an innovative approach to marketing communication of both the client, the agency and the media house, was an excellent opportunity for us to engage and use communication platforms from TVN Media's portfolio. We were given a unique opportunity to present ourselves as open to innovation and customers' needs in a new marketing reality, ready for the dynamic changes that the market puts before us. We had to rise to the occasion, not only responding to the brief, but also realizing the project with the use of the spectrum of our capabilities in the following areas: TV (including our stars), digital, production and other. Thank you for your trust in us: ŠKODA brand, Isobar, Propeller Film and PHD Media Direction. Communication activities are accompanied by product placement in "Got Talent" programme. The multitude of communication channels is complemented by the involvement of influencers (Bovska, Rafał Masny from AbstrachujeTV on YT). The advertising spot will be transmitted, among others, in cinemas, Media Markt shop screens, main websites of WP.pl and Gazeta.pl portals and on profiles: ŠKODA, TVN, WP.PL, Dentsu Aegis Network Poland, Propeller Film, Isobar Poland on Facebook and Rafał Masny's and Bovska's Instagram.